Carpet vs. Hardwood Flooring: Which Should You Use? When building a new home, or adding a new edition, there are an innumerable amount of options to consider. From what kitchen cabinets to install, to whether you want a regular or Jacuzzi tub, it can be a fun, but overwhelming experience. One decision that tends to get lost in the mix is what kind of flooring you want in your home. While places like the kitchen or bathrooms will most likely get stone or tile flooring, when it comes to the living room, bedrooms, and other auxiliary rooms, there are generally two options to choose from: Carpet and Hardwood flooring. This guide will help you explore the benefits of each option! We’ll start with carpeting. Their are a few distinct advantages that carpeting holds over hardwood flooring. The first, and perhaps the most obvious, is comfort. Not only is carpet soft underneath your feet, which makes it especially appealing in family and bedrooms, but it is also acts as insulation. Carpet is a far better insulator than hardwood flooring which means those cold winter mornings will be just a little more bearable with carpeting under your feet. Another advantage carpeting holds is that it’s more economical than hardwood flooring. Even high-quality carpeting can be installed for less than half the price of hardwood flooring, making it the best option if you’re working on a budget. Finally, carpet is kid-friendly. Not only is it safer for your children to play on, it is also sound deafening, which means even when your kids are yelling and dropping marbles all over the floor, it won’t create an unbearable racket! While carpet is the more comfortable option, hardwood is the more sophisticated one. Hardwood not only looks fantastic, but studies have shown that homeowners are willing to pay more for a home that has it. There are a few other benefits that hardwood offers over carpeting. 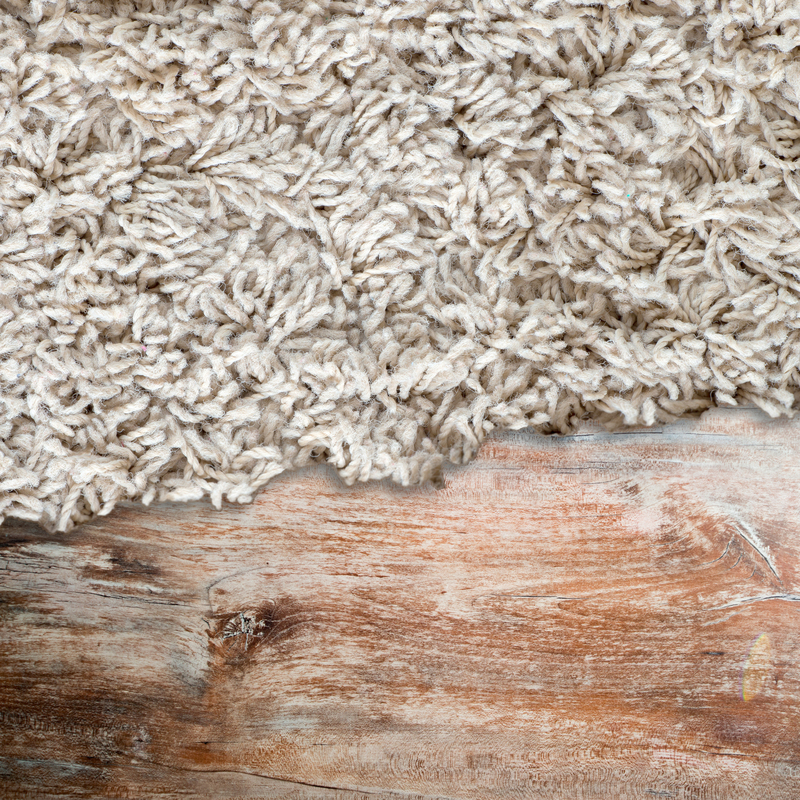 It is a low allergy-surface that cannot hold dust and dirt, making it more hypoallergenic than carpeting. In the same vein, it is also far easier to clean. While carpeting can stain and mold, even in hygienic homes, hardwood floors simply need to be wiped clean, making them a lower maintenance option. Hardwood flooring also offers the benefit of being longer-lasting and easier to re-finish than carpeting. Properly maintained hardwood can last for decades or longer, where as carpeting is likely to last a generation at most. Additionally, if areas of the hardwood have been damaged, it is easy to make spot repairs to the flooring by sanding away the imperfections. Carpet does not offer this ease of repair. Finally, hardwood is also the more eco-friendly option, as carpeting is almost always made with some sort of petroleum byproduct. Hardwood flooring, on the other hand, can be harvested and manufactured in an environmentally sustainable fashion. Which flooring option you decide upon is simply a case-by-case basis. Have a lot of children in your home, or prefer a softer, warmer option? Choose the carpeting. Want a sophisticated, timeless option that will be easy to maintain, increase your homes resale value, and potentially last for generations? Hardwood is the option for you. Both have their own benefits and drawbacks, but ultimately both are wonderful options. Need help deciding which option to choose? Give Fluent Design Group a call at (215) 372-0333 or fill out our online contact form for more information. We look forward to hearing from you!